Transition in schools is a difficult time for children (and staff), and some children can feel anxious and scared which can impact on their behaviour, ability to build relationships with their new teacher and feel settled in their new class. This activity is one I often encourage teachers to do as part of their transition morning to help them get to know their new class. The children usually really enjoy it, and it also builds their confidence and self esteem. The children’s work can be displayed in their new class ready for them to see on their first day, enabling them to immediately feel a sense of ownership and belonging. 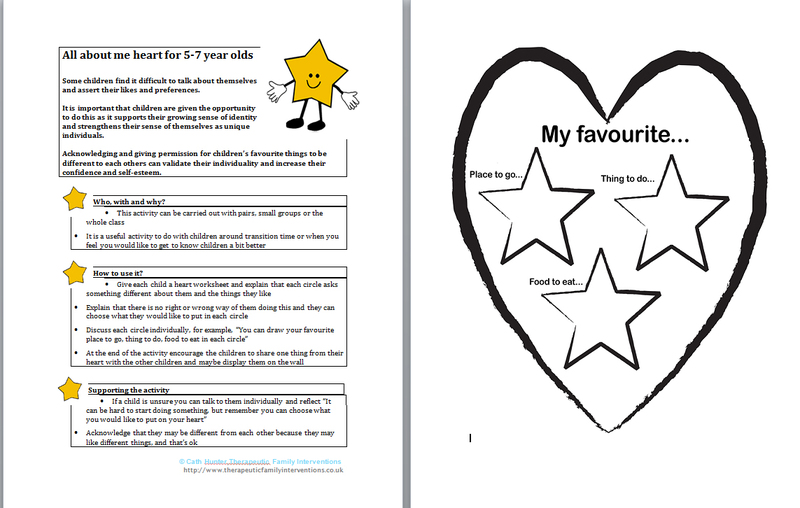 This hand out provides an activity for you to do with the children along with guidance on how to use it and tips on supporting children who may struggle.